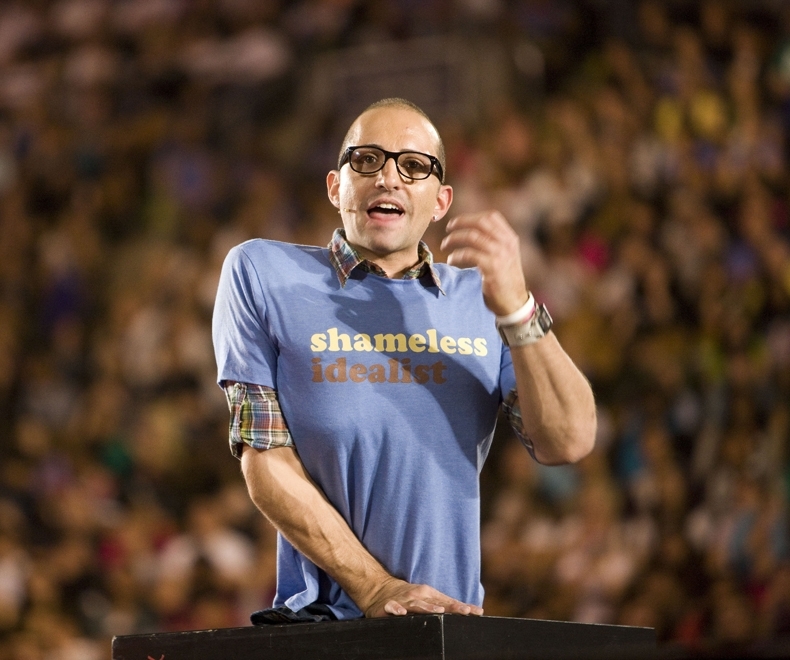 The life of visionary and activist Spencer West has been marked by both obstacles and triumph. After losing both legs from the pelvis down at the age of five, he entered a world that might have easily defeated him. Instead, he tackled challenge after challenge, learning to navigate in a world set against those with disabilities. His many accomplishments and lessons learned along the way, led him to discover the techniques business leaders, professionals, educators and young people can use to redefine possible in their own lives and careers. Whether headlining corporate conferences, mesmerizing audiences in 20,000-seat stadiums, or leading volunteer excursions for youth and adults, Spencer's words and actions have encouraged millions to stand up, face challenges and embrace change. Everyone leaves with pertinent lessons they can apply to redefine what their possible is. Spencer's incredible story is documented in both film and print. His journey is featured in the documentary Redefine Possible: The Story of Spencer West, which debuted at the Toronto International Film Festival and in his book Standing Tall: My Journey. Demi Lovato invited Spencer to open her show on her world tour across North America, where he spoke to and inspired thousands of her fans. He has appeared countless times in the media (ABC News, 60 Minutes, CTV, BBC, TMZ and CNN). As a featured speaker and co-host of WE Day he has graced over 60 WE Day stages across Canada, the United States and the United Kingdom. He has spoken alongside luminaries and performers such as Canada's Prime Minister Justin Trudeau, Prince Harry, former U.S. Vice-President Al Gore, Mia Farrow, Martin Luther King III, Jennifer Hudson and Natalie Portman, to name a few. The life lessons Spencer has learned on his personal journey speak profoundly to audiences facing their own challenges. Spencer's inspiring words have reached millions of listeners around the world, including corporations, students, educators, faith-based groups and families. Infused with humor and humility, Spencer's talks offer take-home tips and life-lessons on how to find opportunity in every challenge, while instilling hope and empowering leaders to motivate others to create positive change. When Spencer is not inspiring audiences from the speaking platform, he is helping others to create lasting change by facilitating international volunteer trips in communities where ME to WE's charity partner works.